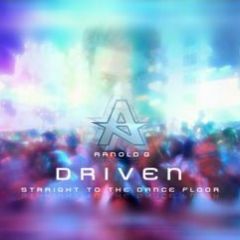 Shelli Andranigian ~ Hollywood, CA - 15SEP06 - Southern California-based singer/dancer/performer Arnold G is set to release his debut CD DRIVEN: Straight to the Dance Floor, this week on A & G Records. The album covers a number of dance genres and also touches on social issues such as AIDS awareness, hate crimes and crystal meth. Arnold G has traveled much of the world, performing in Eastern Europe, the UK and Canada along with America. He started his career as a dancer and choreographer for various recording artists in Hollywood. After a decade as a dancer, he became a print-model but his love of music brought him to singing locally in nightclubs. There he found himself winning singing contests throughout California. As a performer he has been a part of shows at The White Party in Palm Springs, Knotts Berry Farm in Buena Park, California and The MGM Grand in Las Vegas. A special marketing campaign includes extensive promotion on MySpace, Internet distribution outlets and traditional one-stops. A distribution agreement was signed with Super-D for the latter (www.sdcd.com), while digital distribution outlets all over the world are additionally on board to carry DRIVEN: Straight to the Dance Floor. There will also be an awareness campaign at the upcoming Billboard Dance Music Summit to be held in Las Vegas next week. Two of the songs from DRIVEN are currently charting on Soundclick (www.soundclick.com), an artist-driven website by and for artists. "Give It To Me Baby" went to #7 on the Electronica chart (out of 168,587 ssongs) and #3 on the Electronica -- Subgenre Dance charts. (out of 11,268 songs). "Carry On" went to #162 on Alternative (out of 91,920 songs) and #13 on Alt Power Pop (out of 4,129 songs). Another song on the record, "Ocean Dreams," went to #1 on the Electronica chart for two weeks and also topped the overall genre chart. SoundClick is a music website that features both signed and unsigned bands, according to their website. It has been around since 1997. Well-known artists such as Janet Jackson, Sarah McLachlan, Moby, Gravediggaz, PM Dawn, Phil Collins, Peter Gabriel, Kate Bush and Letters To Cleo are also on the site. The driving force are hundreds of thousands of great unsigned bands looking for their big break. There are 50,000 new songs and more than 6000 new bands approved each month. There are a few socially-aware songs on Driven, including the pop-flavored "Carry On," which talks about the importance of AIDS awareness. A special DVD will accompany the track and is a video montage of lives lost over the years. A portion of the upcoming single's proceeds will go to AIDS awareness. Meantime, other strong messages are sent through "Our Rainbow" (hate crimes) and "Angel Eyes" (crystal meth). A promotional club tour in select markets is planned for later this year. Single releases (TBD) will be promoted to Billboard reporters and mixshow DJ's. Check him out on Myspace.com/ArnoldG for additional information about both DRIVEN: Straight to the Dance Floor and Arnold G or contact Andranigian Media, also on MySpace!